This day tour in Paris will take you to the top sights and attractions, including skip-the-line tickets to the Eiffel Tower and Louvre Museum. We will start the day with a guided tour of the Louvre Museum, showing you the main rooms and masterpieces including the Venus de Milo, Coronation of Napoleon I, and the Mona Lisa by Leonardo da Vinci. Save precious time and skip-the-line, taking advantage of the the time that you have in Paris. We will have lunch at the Eiffel Tower, and your tour includes skip-the-line tickets to the 1st floor where the restaurant is located. Enjoy a delicious 3-course meal with beverages included as you take in the breathtaking views of Paris. Cruising along the Seine River, our final stop will be the UNESCO World Heritage Site of the Notre Dame Cathedral for a guided tour. With a local guide, learn about this history of this monumental Gothic cathedral and the role it has played in Paris since its construction between the 12th and 14th centuries. Following the tour of the cathedral, we will head back to the Eiffel Tower and end our tour there. Our tour guide is great...she is knowledgeable and has a good sense of humor. We really enjoyed the tour! One day tour of Paris which included the Louvre, Eiffel Tower, seine river and Notre Dame was excellent . Tour included lunch at the Eiffel tour which was also very good. Our guide, Monica was outstanding. Would highly recommend. It was a good tour but not too much to see. 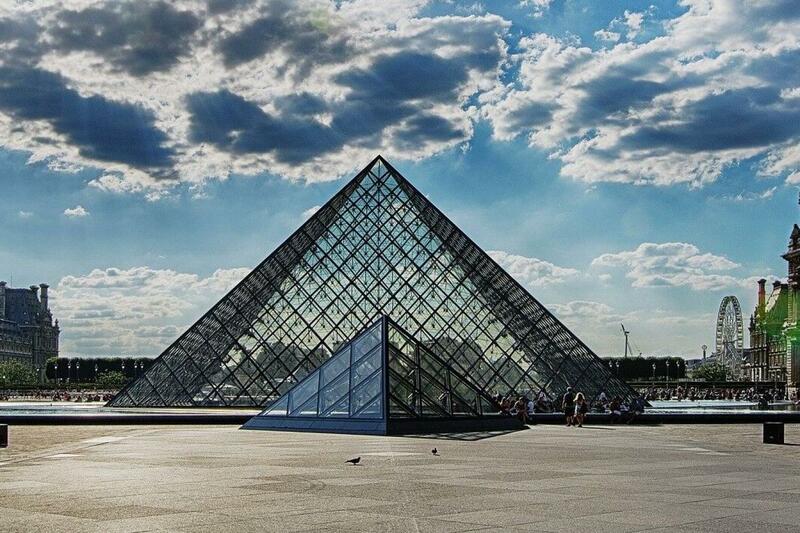 Just a short time at the louvre. Then a river cruise (no narration). Then a short time at the effiel tower to eat...not enough time to actually get to the top. And then a short tour of notre Dame in the afternoon. Would have preferred to take a bus tour with some more narration so we could have seen a little more. Joanna, tour guide, was the greatest, so charming and knowledgable. Also very much liked that we had headsets so we could hear our guide all of the time.